Representatives from across campus will meet April 23 to share information about how they are implementing aspects of their diversity action plans and discuss next steps. In March, President Michael Schill met with all vice presidents and Provost Jayanth Banavar met with all deans to give the charge to proceed with further implementation of the diversity action plans for each school and unit across campus. The “DAPtivation: Implement your Diversity Action Plan” meeting will allow those involved with their school or unit’s diversity action plans to briefly come together. They will review and affirm the work that has been accomplished and consider current needs to move ahead as individual units or schools, as well as in large and small collaborations or committees. The University Wide Diversity Committee and the Division of Equity and Inclusion spent two years developing the IDEAL framework to help guide the university as it works to make diversity, equity and inclusion commonplace at the UO. 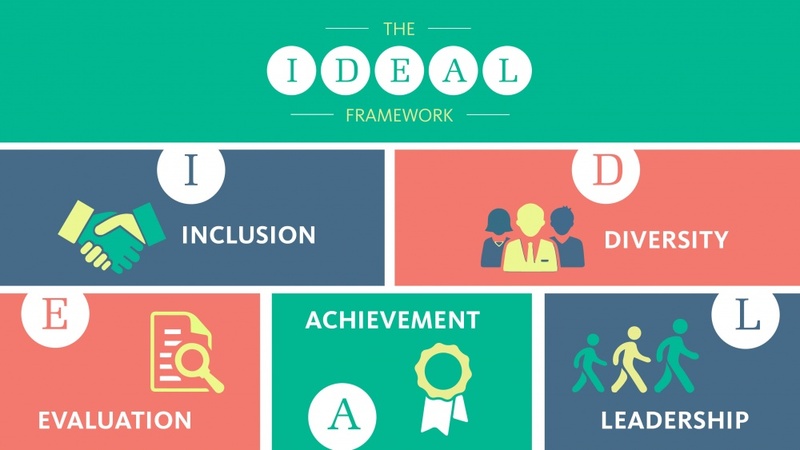 The IDEAL framework contains five pillars: inclusion, diversity, evaluation, achievement and leadership. It was delivered to the campus in 2016. The framework was then used as a guide for each school and unit to develop its own diversity action plan and to foster collaborations. Each school and unit submitted their diversity action plan in 2017. The Division of Equity and Inclusion then organized to provide a comprehensive review of each plan and give support for any needed changes. A number of individual projects from specific units or schools are in process. Key institutional priorities were also identified for which campuswide working groups were established. Current working group topics include implicit bias, climate surveys, recruitment and retention processes and tools, and leadership succession planning. Working groups will continue with collaborative efforts across campus to address institutional priorities. The April meeting will also set the stage for this year’s Showcase Oregon on June 5, a biannual campus workshop hosted by the Division of Equity and Inclusion. The theme of this year’s Showcase Oregon is “Activating the IDEAL Framework." Showcase Oregon will take place from 1 to 5 p.m. at the Erb Memorial Union. It will allow time for in-depth conversation about work accomplished as well as challenges and opportunities for future projects and goals. It will feature a panel of experts and TED-like information sessions addressing best practices in equity and inclusion, a poster session displaying information on projects from every diversity action plan and working group on campus, opportunities to engage with students around issues of equity, an awards presentation and more.